By the time you experience symptoms of kidney cancer, it may have grown considerably. So, address any risk factors, and work to keep your kidneys free of cancer. Pictured: healthy kidneys. Symptoms of kidney cancer include blood in the urine (hematuria), pain in one side of the lower back, a lump in the lower back or side, fatigue, or loss of appetite, among others. Affecting more than 38,000 men and 23,000 women in the United States annually, kidney cancer ranks among the 10 most common cancers in American men and women. Each year, more than 14,000 people die from kidney cancer, the American Cancer Society (ACS) says. 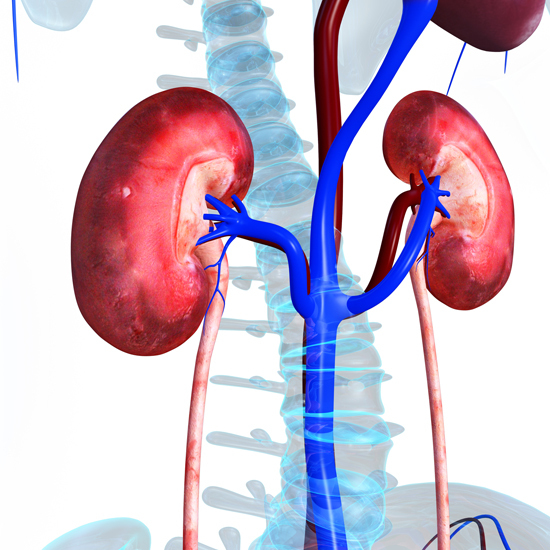 Kidney cancer symptoms typically manifest only after the disease’s earliest stages. Usually, by the time a cancerous tumor causes symptoms or affects kidney function, it has grown quite large. Still, it’s critical to recognize and report any kidney cancer symptoms as quickly as possible, and also do what you can to reduce your risk of the disease. Since they usually cause no symptoms, kidney cancers often are found incidentally during imaging tests for other medical conditions. One of the primary symptoms of kidney cancer is blood in the urine (hematuria), seen by the naked eye or visible only under a microscope. 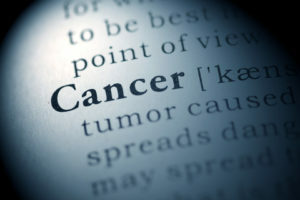 Other potential renal cancer symptoms include pain in one side of the lower back, a lump in the lower back or side, fatigue, loss of appetite, fever, anemia, and unexplained weight loss. Even when kidney cancer makes itself known, its symptoms can be similar to those of other conditions. For example, hematuria may be caused by several conditions besides renal cancer, such as kidney stones or bladder or urinary tract infections. For this reason, one or more imaging tests, urinalysis, blood tests, and (less commonly) biopsies are necessary to diagnose kidney cancer and also to determine whether it has spread. Screening for kidney cancer in people at average risk is not recommended, though researchers are studying urine tests that identify proteins associated with kidney cancer and may allow for earlier detection of the disease. For those with certain inherited conditions or other factors that place them at higher risk, doctors may recommend periodic imaging scans to look for kidney tumors. Men are about twice as likely as women to develop kidney cancer, while African-Americans and Native Americans face a slightly greater risk of the disease, according to the ACS. Also, anyone with a strong family history of kidney cancer or certain inherited conditions is at higher risk. While there’s nothing you can do to change these risk factors, others are within your control. For example, smoking is a leading risk factor for several cancers, including renal cell carcinoma, which accounts for about nine out of 10 cases of kidney cancer. However, people who quit smoking may reduce their risk of the disease, so if you smoke, talk to your doctor about ways to quit. Also, your risk of kidney cancer increases if you’re around certain workplace substances, such as cadmium and certain herbicides, so find ways to reduce your exposure to these substances. Being overweight or obese may make you more susceptible to renal cell carcinoma, so talk to your healthcare team and devise a plan to optimize your weight through a healthful diet and regular exercise. Obesity is a risk factor for high blood pressure (hypertension), which has been linked with a higher risk of kidney cancer. High blood pressure also contributes to chronic kidney disease, and people with advanced kidney disease, particularly those on dialysis, face a greater risk of kidney cancer. Work with your physician and other healthcare professionals to address the risk factors you can modify. In doing so, you can improve several facets of your health, and you may be able to minimize your risk of kidney cancer in the process. anemia, appetite, blood pressure, blood pressure hypertension, cancer, cancer stages, cancer symptoms, cancers, carcinoma, chronic kidney disease, common cancers, diet, exercise, for high blood pressure, health, high blood pressure, high blood pressure hypertension, hypertension, kidney cancer, kidney cancer stages, kidney cancer symptoms, kidney function, kidney stones, medical conditions, obesity, pain, quit smoking, renal cancer, renal cancer symptoms, renal cell, renal cell carcinoma, report, smoking, tumor, unexplained weight loss. Very interesting and useful info. Please put me on your email list for more info. Thanks.